Copyright © 2018 Dash Genomics, Inc. 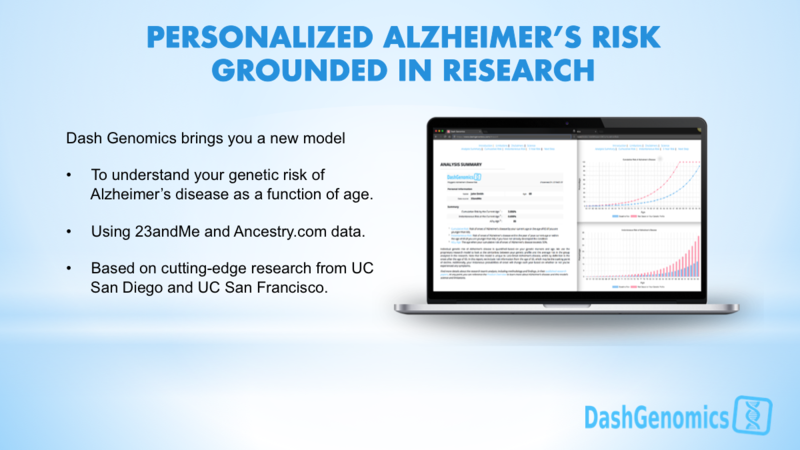 Dash Genomics (www.dashgenomics.com) has partnered with UCSF and UCSD scientists to offer a new model to understand individual risk of Alzheimer’s disease beyond only the APOE gene, as a function of age and genetic information. 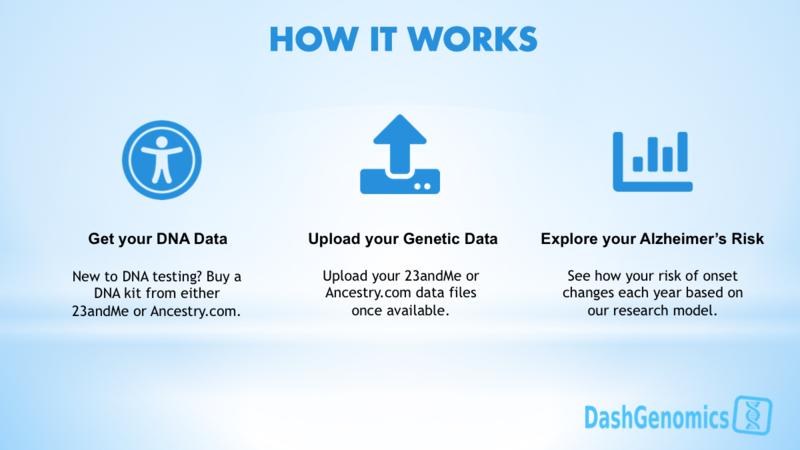 Dash Genomics has now made this state-of-the-art algorithm available to anyone with 23andMe or Ancestry.com DNA data. 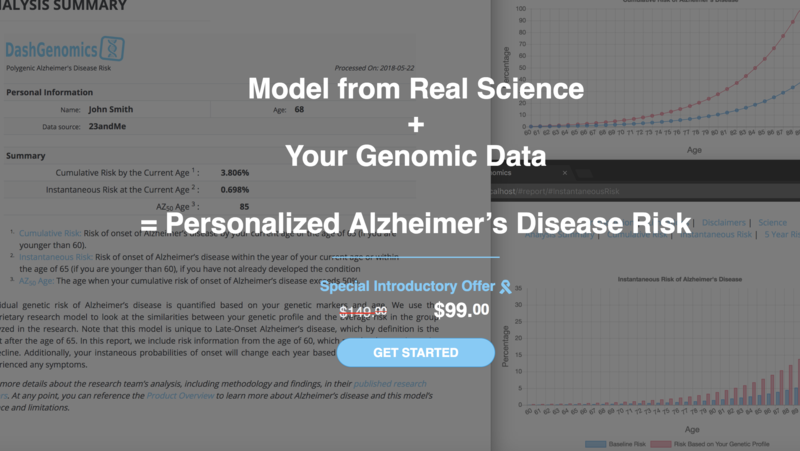 The personalized Alzheimer’s risk analysis is available from Dash Genomics for $149 but is currently available at a special introductory price of $99. 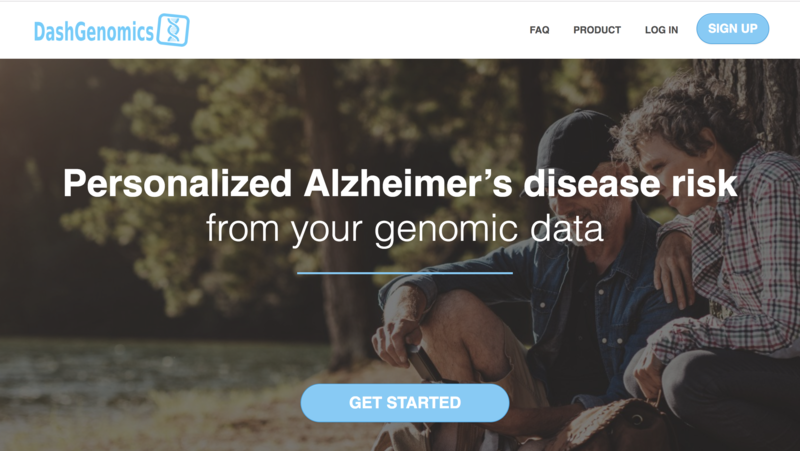 The proprietary algorithm used by Dash Genomics was developed by HealthLytix, a precision health company in San Diego, and is based on cutting-edge research from UC San Diego and UC San Francisco. The research looks at age-specific risk of developing Alzheimer’s disease based on genetic markers that have never been used before for estimating risk. The model looks at the similarities between genetic profile and the average risk in the group analyzed in the research. Our research team featured in Wired. The science based on a published paper. 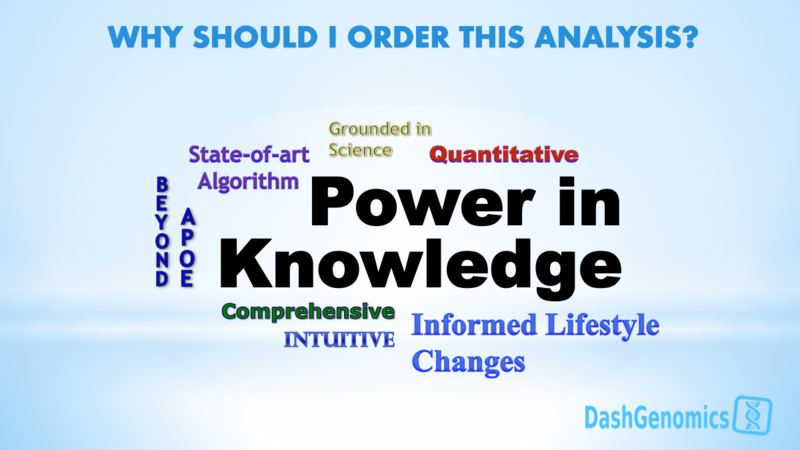 Dash Genomics Personal Risk Analysis is the only analysis on the market that goes beyond the APOE gene. Sample report available here. Dash Genomics' analysis is for informational purposes only, has not been validated for clinical use, and is not meant to be used for diagnostic or medical purposes.